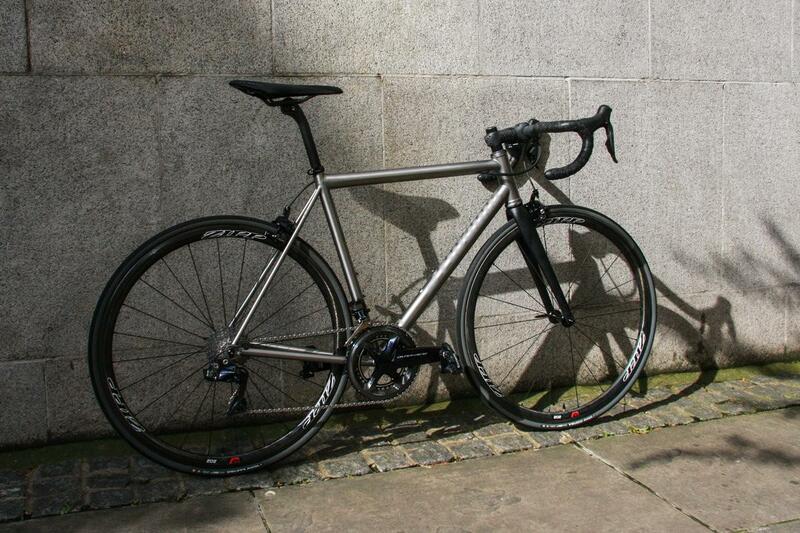 It's been a spectacular year of bespoke builds here at Bespoke Cycling. Our Build Gallery is positively bursting at the seams with beautiful bikes. We decided to pick our 12 fave bikes from the past year, and it turned out to be a really difficult job. And there we were thinking it would be easy. How wrong we were. The debate rumbled on, tempers raised, lots of arguing over each bike and why it should be on the list, but we eventually managed to agree on a list that we think represents the quality and variety of bikes we've built this year. You may not agree with this list, and we'd love to hear your thoughts, so why not let us know what you think of this list via Twitter or Facebook. 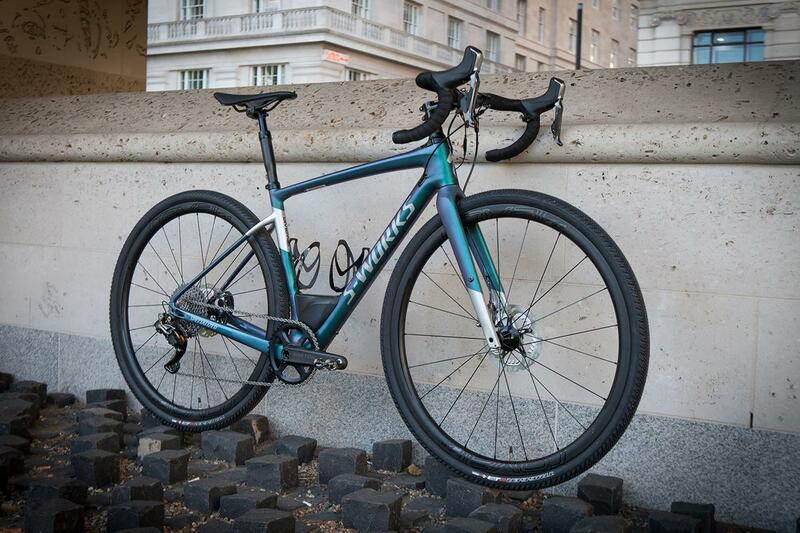 If you want to build your own bespoke bike, please get in touch with us and we'll start on the fit process, getting you the perfect fitting dream bike. This iconic Celeste/Yellow paint scheme is sure to stir the hearts of those of us of a certain age. 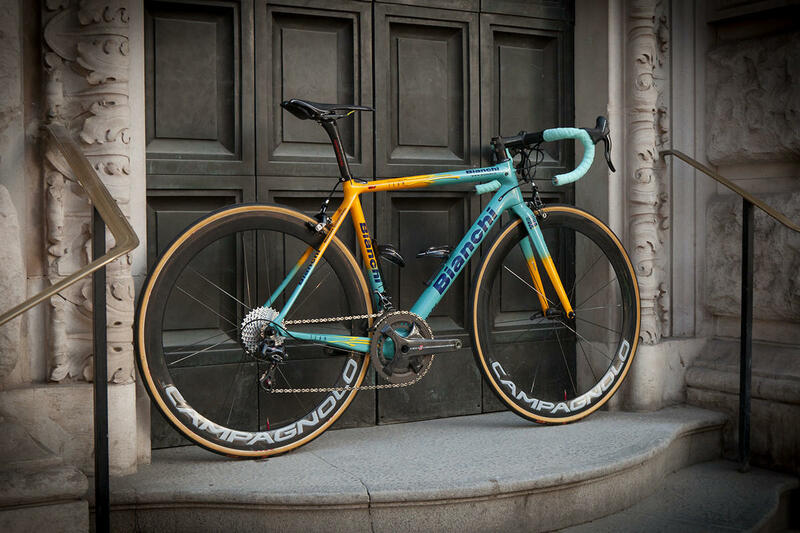 Built to commemorate the 20th anniversary of Marco Pantani's epic Tour/Giro double win in 1998, this Specialissima sports the colours that il Pirata rode to victory. Fitted, naturally enough, with mechanical Campagnolo Super Record, this is an outstanding, no-expense-spared tribute to one of my all-time heroes. 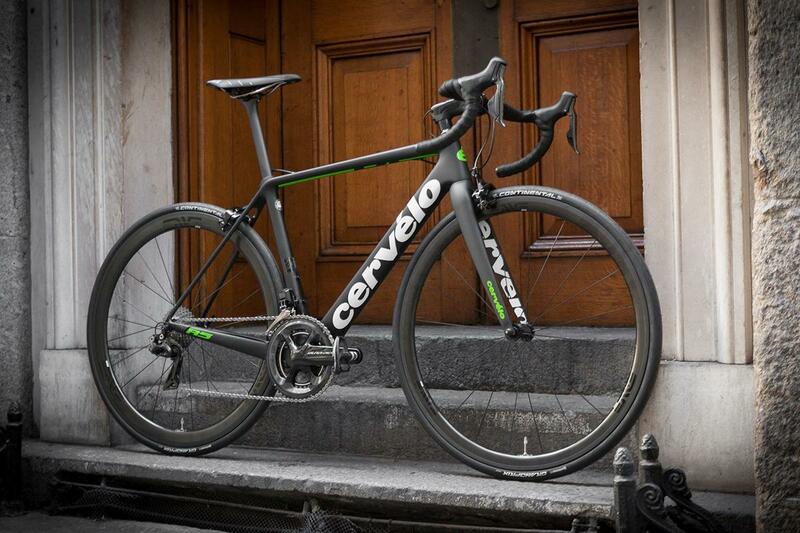 Cervélo's R-series have always been known for their light weight, and the latest R5 is no exception. The front end has been lowered slightly too, for a more aggressive position, but this has been complemented with a remarkably comfortable ride quality (unusual in such a stiff bike). This build is pretty much stock, and we love the choice of components - everything is balanced, capable, reliable - and fast. ENVE's 3.4 wheelsetcompletes the package. 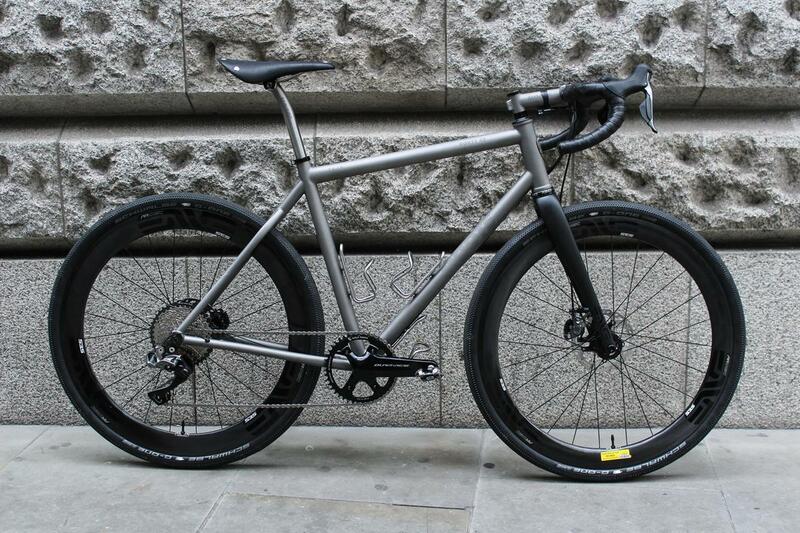 Of course being a Bespoke bike it has been perfectly tailored to fit it's new owner, all the contact points dialled in precisely so bike and rider can perform at their best. Moots have created the 45 variant of their popular Routt model with even more tyre clearance (up to 45mm) and flatmount brakes. Combined with longer chainstays, this makes for a smooth handling bike ideally suited to longer rides on mixed surfaces. This lovely build also features ENVE's new 4.5 AR Disc wheels - a true aero wheelset specifically designed for larger volume tyres. Schwalbe G-One tyres are a great choice for a go-anywhere bike, handling brilliantly, and extremely fast, both on tarmac and on the rougher stuff. The Dura-Ace 1x groupset is bombproof and shifts reliably in all conditions. With the addition of Wolf Tooth's Drop-Stop chainring at the front everything is that little bit more secure for ultimate peace of mind. The package is completed with Moots' own Ti stem and seatpost, to give ride comfort no matter how tough the going gets. All in all, if you want to go anywhere, any time, on a Ti bike, this is the way to do it. We get spoilt at Bespoke. Surrounded by the world's finest bike gear, and with a constant procession of beautiful bikes passing through our shops and out into the world. But every now and then, something will make me stop and say "wow". 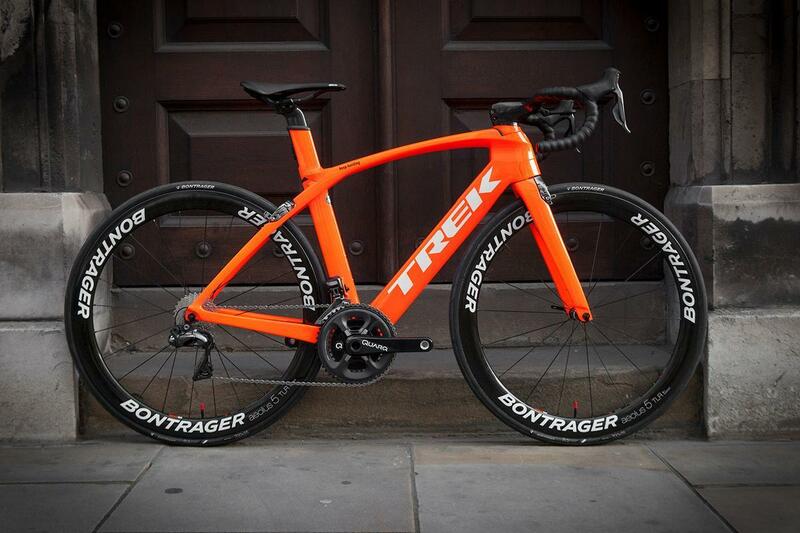 I'll be the first to admit I'm a fan of orange bikes, but this really is something special. A custom Trek Project One paint scheme makes this Madone stand out in a crowd. One of those "looks fast standing still" bikes, that's pretty damn fast once it gets going, too. The latest Ultegra Di2 groupset gives effortless, precise electronic shifting and the Madone's aero design means that all the cables are routed neatly, almost invisibly, through the frame. Bontrager's Aeolus 5 wheelset is a great match for the Madone - designed for everyday riding for people who want to go fast every day. The Quarq power meter crankset adds a touch of practicality and ensures this bike is as at home on training rides as it is on raceday. 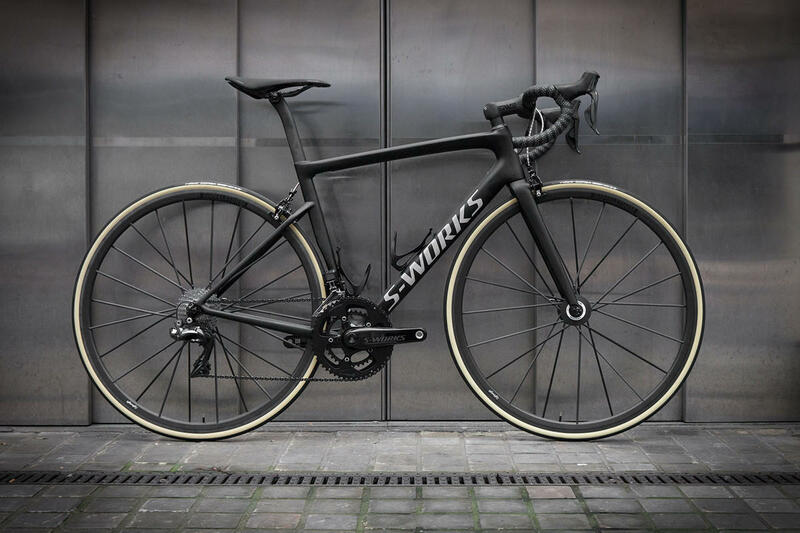 he all new S-Works Diverge. What a beast! 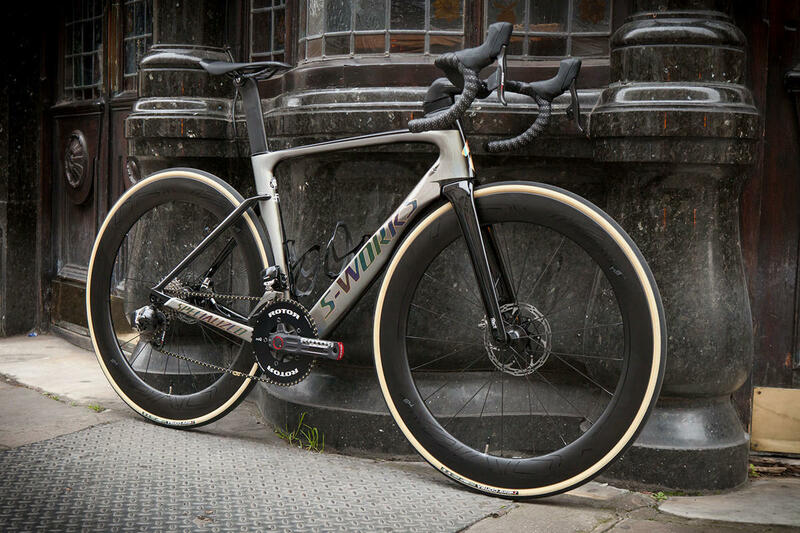 To provide a smoother and more controlled ride on rough terrain, the new Diverge has borrowed the radical Future Shock from the Roubaix, providing 20mm of bump-absorbing suspension. The cartridge is cleverly located between the stem and head tube so there's no change to the geometry during the suspension travel. 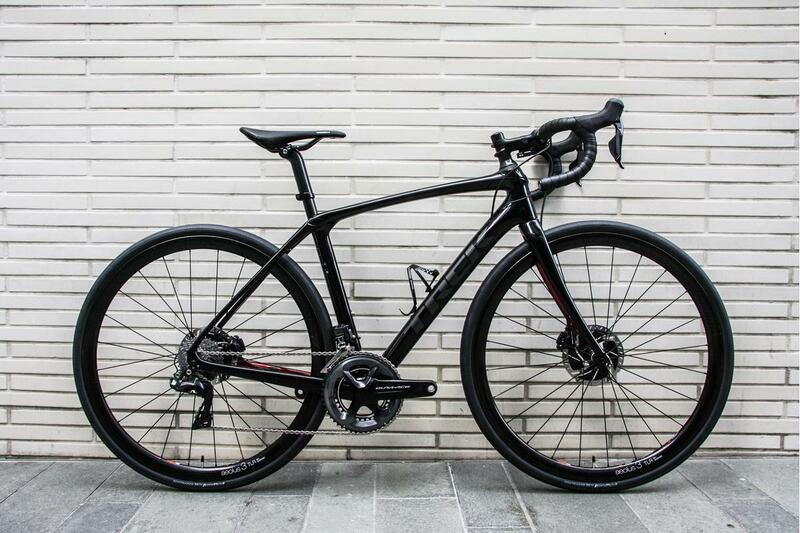 Specialized has also firmed up the spring compared to the Roubaix so it handles the big hits better. The pearlescent paint looks amazing, a big change to some of the previous more staid paint offering in the Diverge line. Parlee hand make every element of the Z Zero in house: the tubing, the dropouts, cable stops, everything. Every Z Zero is made to order, tubing is chosen based on rider interview and reflects the rider's style. This Z Zero Disc build is unusual in that it features an integrated seatpost. There is almost an unlimited array of paint options, but it's interesting to see how many people opt for a raw finish. Everyone just loves seeing the full crafstmanship on full display. There's also the option to choose between unidirectional or weave for the carbon topsheet, and this frame was built with all weave, giving a very distinctive look. The logos, which can be as bold, minimal or even absent, as the customer wishes, are in this case 3M reflective. Almost black without direct light, but as you'll see here, they pop like crazy in the light. The orange Chris King hubs are also a standout feature, really adding an additional color note to the build. 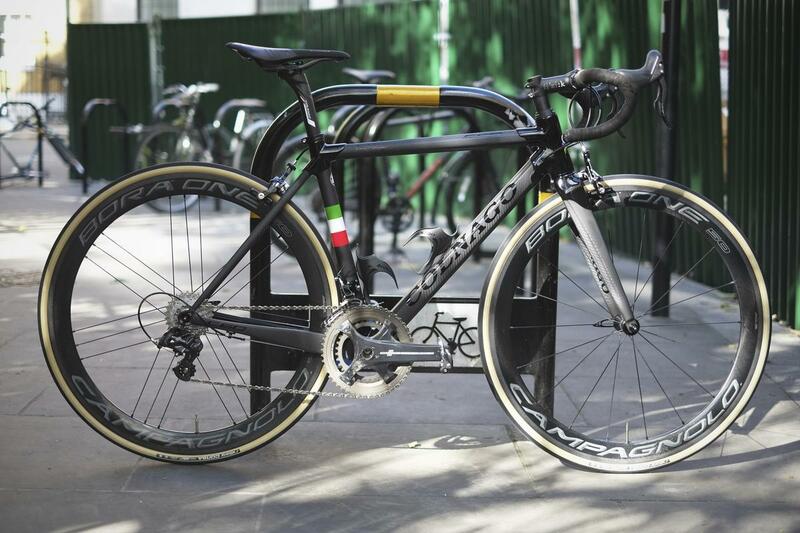 The Colnago C60 is a true classic and a favourite at Bespoke Cycling. Hand made and hand painted in Italy, the C60 continues to embody the spirit and heritage of Colnago. It marries modern performance with a classic aesthetic. Unsurprisingly many people try and keep the entire build Italian, like this one. Mechanical Campagnolo Super Record keeps the weight down to a minimum and offers the very best mechanical shifting. Campagnolo Bora One carbon wheels keep the theme, providing a lightweight aero wheel with ceramic bearings. These are paired with Vittoria Corsa tyres, which combine graphene with the classic look of tan walls. 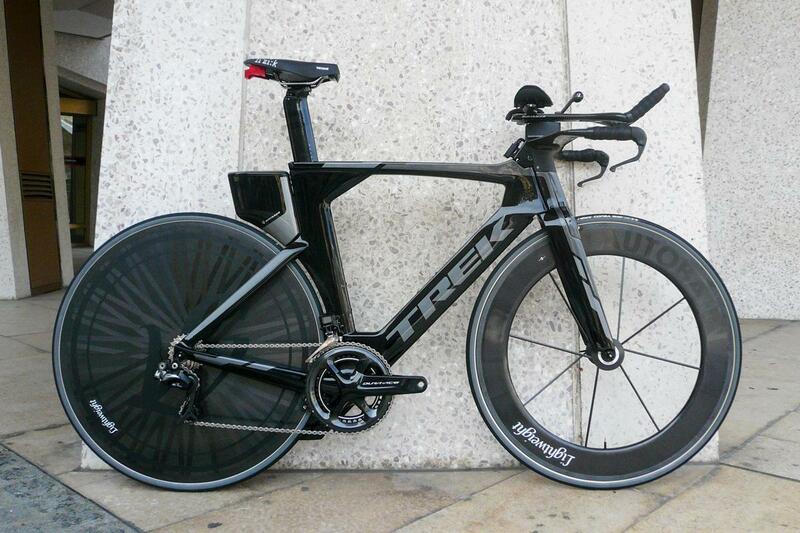 Another great Project One Trek Domane SLR, one of our most popular bikes at Bespoke Cycling, time and time again. You can see the signature of the painter on the non drive side chainstay, which is a nice personalised touch from Project One. This beauty features Rotor's IN2power crankset, which measures power output on both sides. A fantastic boon to training. With Rotor's own noQ Aero chainrings it'll slice through the air as smoothly as the rest of this aerodynamically superb package. Specialized's wind tunnel optimised cockpit features the distinctive 'dropped centre' bars for an extra-aero position, and disc brakes provide reliable stopping power no matter how fast you're going. Need we mention the looks? That paint fleck just pops in the winter sun, and the reflective holographic decals complete what is always a stunning bike. Impressive, classy, fast, just like it's namesake. With a road bike as aero as the Tarmac there's not much you can do to make it go faster. But making things lighter always helps, and this awesome Ultralight build shows that to great effect. 5.75kg (we couldn't resist a photo on the scales). But no corners cut anywhere - this is a bike designed to perform, to do whatever is asked of it without compromise. Every component is carefully selected not just for lightness but for engineering excellence and reliability. We've long been fans of Specialized's super-light, super-stiff S-Works carbon cranks, and it's always a pleasure to see them on a build. They're complemented here by a Di2 gruppo with the expected smattering of carbon, and an ENVE stem has been selected to provide the exact fit for this customer. eeBrakes make a welcome appearance too - proving that powerful, progressive braking doesn't have to mean excess weight. Lightweight's carbon Gipfelsturm wheelset continues the light theme, and is designed with a low profile so as not to catch the wind. It's also perfect for hurtling up (and down) hills. The wheels are clad in classic Vittoria Corsa tubulars, their tan sidewalls add a subtle splash of colour to a seriously classy stealth-black bike. 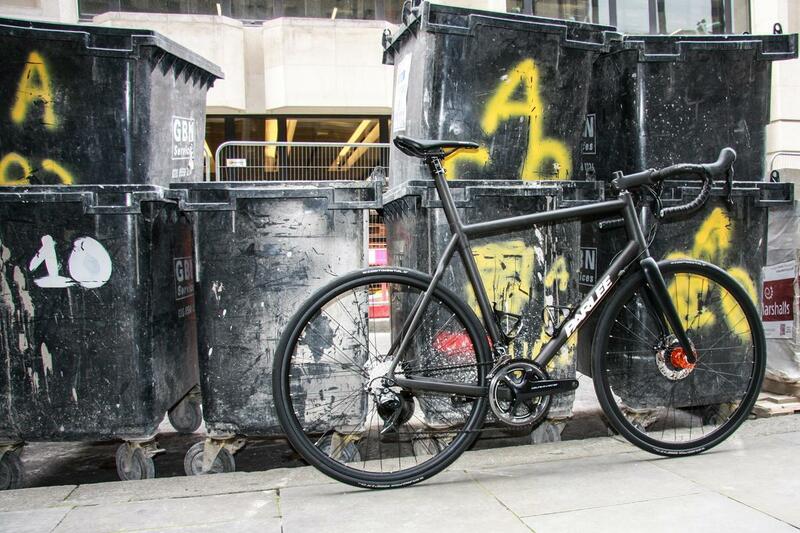 Even the paint is a Specialized-engineered coating designed to add just 10g to the total weight of the bike.